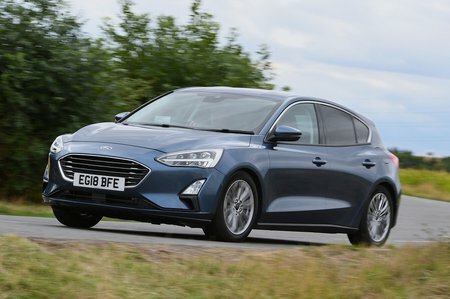 Ford Focus 1.0 EcoBoost 100 Style 5dr 2019 Review | What Car? What Car? will save you at least £1,520, but our approved dealers could save you even more. Entry-level model gets some decent kit, including 16in alloy wheels, electric windows, driver’s side lumbar adjustment, air-con, a DAB radio, automatic emergency braking and lane assist. It only has a 4.2in infotainment screen, though, and we’d suggest bumping up to Zetec for a few more luxuries. This 99bhp 1.0-litre is too slow to recommend over the 123bhp Ecoboost 125.